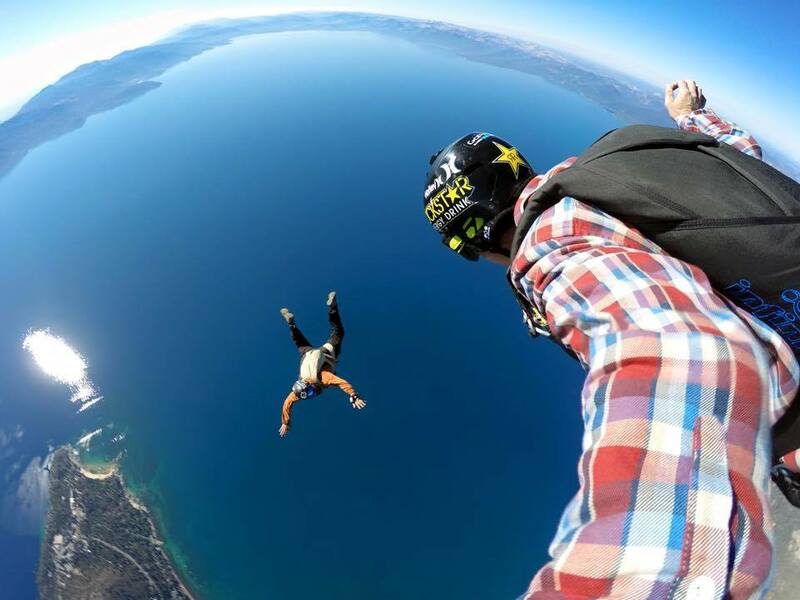 Erik Roner, professional BASE jumper, skier and Nitro Circus stuntman died today in a skydiving performance in Squaw Valley. Erik and three other jumpers were the opening act for the Squaw Valley Institute’s annual Celebrity Golf Tournament. Jumpers Aaron McGovern landed first, followed by JT Holmes. When Erik approached the landing zone at high speed, he struck a tree and hung 25-feet off the ground. Emergency crews took more than 30 minutes to reach him and get him down. He was transported to a local hospital where he was pronounced dead. The fourth jumper, Charles Bryant landed without incident. Erik was 39 years old. He is survived by his wife (Annika) and two young children, Oskar and Kasper. Erik has starred in several Teton Gravity Research films over the years. He has been an iconic figure in the action sports community. Erik joined Nitro Circus in 2005 and developed a loyal following of fans that enjoyed his cool demeanor and fearlessness. RIP Erik Roner. He was one of the best sky diver.It's so sad news..May his soul rest in peace.Thanks for sharing this article with us.Keep posting.